Shanghai Party Secretary Li Qiang met Tadashi Yanai, chairman of Fast Retailing Co Ltd, and his delegation on Thursday. Li told his guests that Shanghai is working hard to build the city’s economic, financial, trade, shipping, and technology and innovation centers, as well as building itself into an excellent metropolis. The city is also developing its “Shanghai Shopping” brand to catch up with the trend of consumption upgrading. Li expressed his hope for Fast Retailing to increase investment in Shanghai, and work with the city to generate new products, and expand its design and research. The city has a large market for clothing industry and it will further promote opening-up and reforms, and create a better business environment for domestic and foreign companies. Yanai said Fast Retailing has gained a strong foothold in China’s market thanks to its opening and reforms. Fast Retailing has faith in China’s economic prospect, and it is willing to work with its Chinese partners to expand its market in China, increase investment, and treat Shanghai as an important window to showcase its new products. Zhuge Yujie, secretary-general of the CPC Shanghai Committee, also attended the meeting. 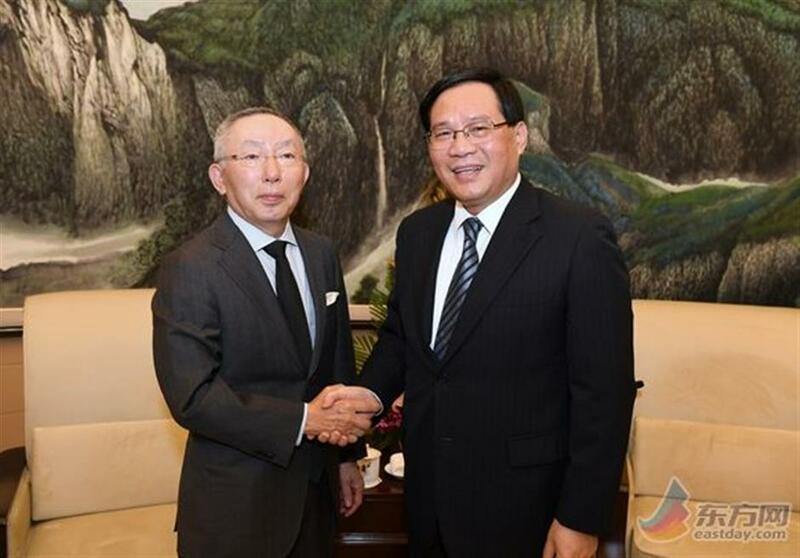 Shanghai Party Secretary Li Qiang meets Tadashi Yanai, chairman of Fast Retailing Co Ltd.